A young boy waits for the birth of his baby sister… He can’t wait to tell her all about the swifts which nest not far from the top window of their pointy house… it’s nearly time, she’s nearly here. 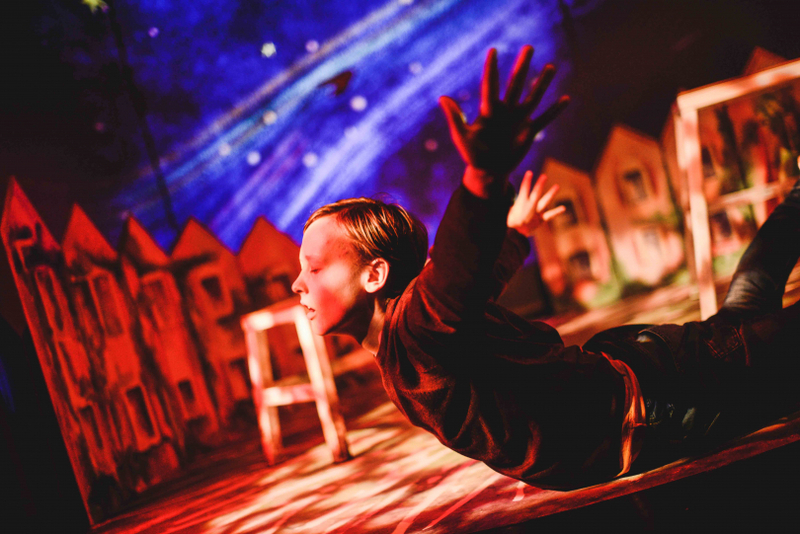 Perfect is an innovative adaptation of the beautiful illustrated book by Nicola Davies and Cathy Fisher, about a young boy meeting his disabled sister for the first time. Perfect is a remarkable story of anticipation and disappointment, acceptance and love, and the power of nature in all our lives. It will feature stunning animations inspired by the book’s illustrations, two talented performers, puppetry and an original sound-score composed by Matt Huxley (the composer for all of our shows).